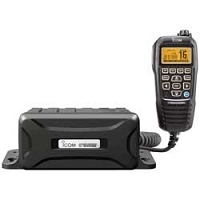 Enjoy complete control of your IC-M504A and IC-M604A fixed-mount marine VHF radio from a remote location with the Icom HM-157B CommandMic microphone. The CommandMicII™--which fits comfortably in the palm of your hand--in effect serves as a second station for your vessel. 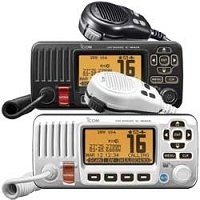 Need to call a fellow boater or make a distress call but don't have time to trudge all the way to the main radio? 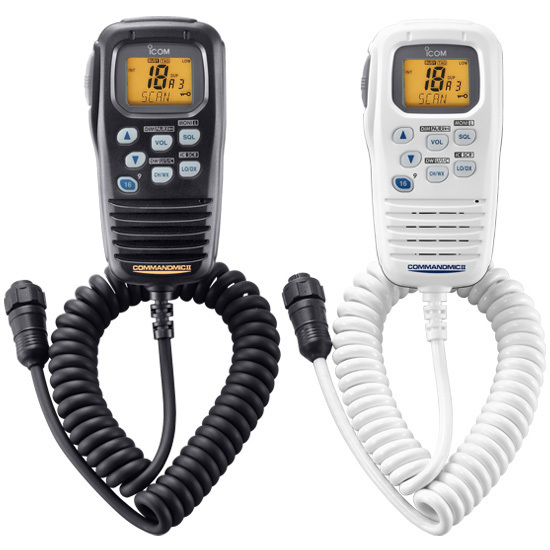 Pick up a CommandMicII™, an ideal communications accessory for the deck, fly bridge, or main cabin. The mic sports such features as a sizable built-in LCD and a comprehensive 11-button housing, which team up to offer control of everything from channel selection to squelch adjustments to Dual Watch scanning. You can even use the CommandMic to talk with the main unit as an intercom, making onboard communication easier than ever.